K.J. 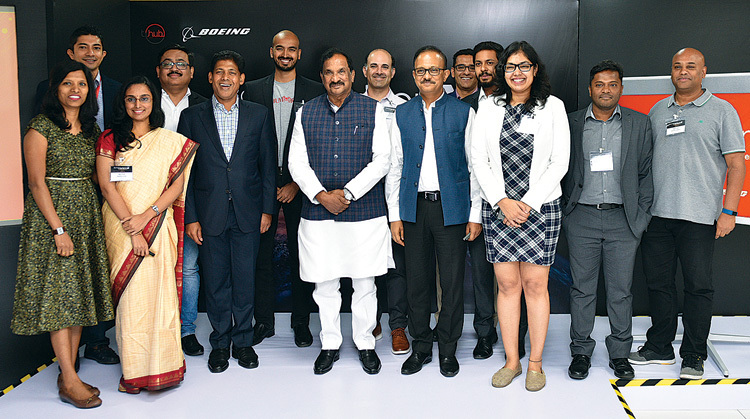 George, Minister for Large & Medium Industries, IT & BT, Karnataka State and Pratyush Kumar, President, Boeing India, with the members of T-hub & startup finalists of the Boeing HorizonX India Innovation Challenge at the Demo Day event held in the Boeing Engineering and Technology Centre in Bengaluru. Uber is the world’s largest taxi company, yet it doesn’t own a single taxi. Airbnb is the largest hotel chain without owning any hotels. New business models coupled with emergingtechnologies and fresh thinking have disrupted stalwarts of the automotive, hospitality and retail industries long considered too difficult to disrupt. Is the aerospace and defence industry next in line for a similar disruption? Yes, and as an innovator with a legacy of over 100 years of technological breakthroughs in aerospace, Boeing sees the need to embrace this next wave of disruption — globally! With more than $3 billion invested annually in research and development, Boeing is driving innovation that will transform the industry as we know it. By leveraging the power of the world’s largest aerospace company, Boeing HorizonX applies its momentum to new business ventures to unlock the next generation of game-changing ideas, products, and markets. From investment capital to technology commercialization and market access, Boeing HorizonX turns new ideas and businesses into reality. Since its inception, Boeing HorizonX Ventures has invested in 16 early-stage companies developing technologies with potential aerospace, services and manufacturing applications. India is home to the world’s third largest startup ecosystem,which is a concrete testament to the inherent innovation and the entrepreneurial streak that India’s talent pool harbors. 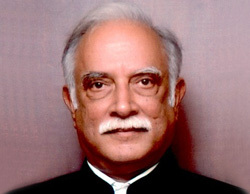 India’s startup ecosystem is replete with examples of startups that have challenged the status quo — and in the process, have redefined how commerce, engineering, medicine, agriculture and the collective future of this world is perceived. 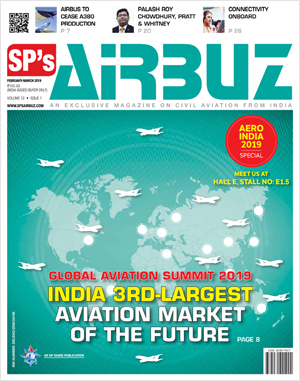 The meteoric rise of the aerospace sector in India has thrown open entirely new avenues for startups to venture into — with a rising market functioning as a hotbed for innovation testing. (L - R) Pratyush Kumar; Alok Nanda, CTO, GE South Asia; Jay Krishnan, CEO, T-Hub and Bala Bharadvaj, Managing Director, Boeing India Engineering and Technology Center, Bengaluru - discuss Disruptive Innovation From India: Are we there yet? 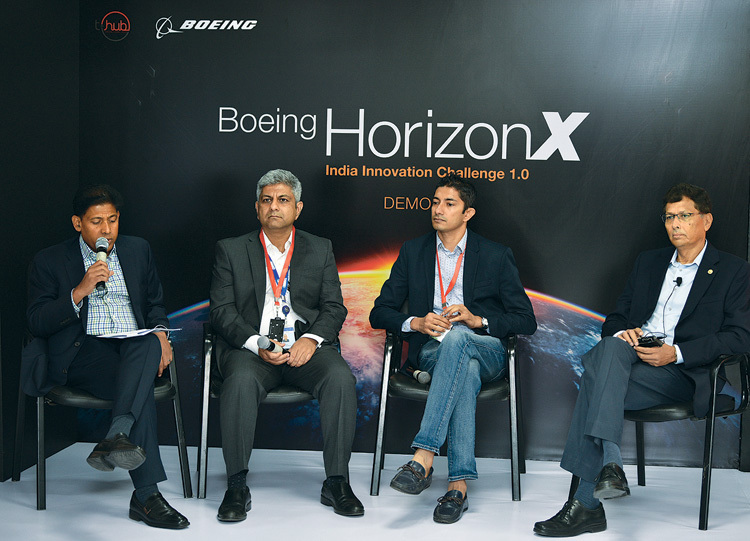 at a panel discussion held during the Demo Day event of the Boeing HorizonX India Innovation Challenge in Bengaluru. Another critical factor that plays into India’s advantage are the recent rise in incubators, accelerators and positive policy interventions from the government. An aerospace startup ecosystem requires players and mentors with a deep understanding of aerospace engineering, systems engineering and program management, as well as the regulatory environment. 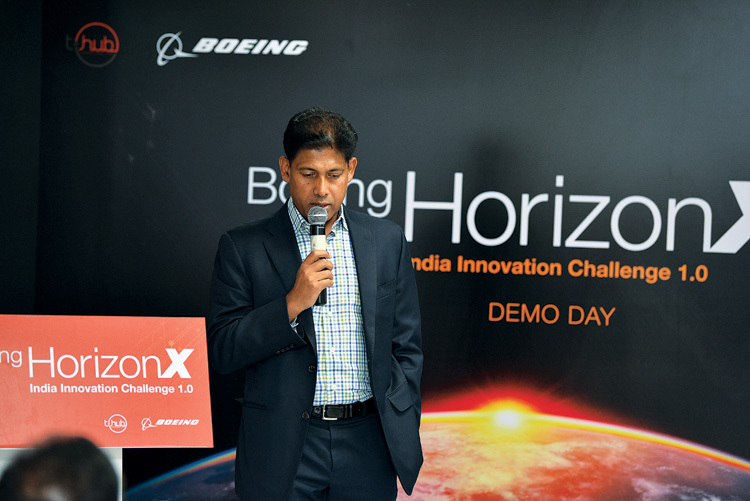 The Boeing HorizonX India Innovation Challenge 1.0 was launched to catalyze innovation across the evolving aerospace ecosystem in India. The results of this joint effort between Boeing and T-Hub were showcased on the “Demo Day” held in August 2018, where three Indian startups and three teams from Boeing presented groundbreaking business ideasto an audience of potential investors and industry stakeholders. The ideas that propelled these startups to the stage ranged from extended reality (XR) to Internet of Things (IoT) and unmanned air vehicle technologies. Merxius develops a product that enables the creation of XR environments to save cost and reduce training time in aerospace manufacturing. HUVIAiR refines custom unmanned aircraft services and software solutions for survey and workflow management. ZestIoT explores solutions that connect the airport and airplane ecosystem using IoT to optimize ground handling at airports and improve on-time performance of airplanes. Pratyush Kumar addresses the gathered investors, entrepreneurs, aviation customers and other stakeholders at the HorizonX Demo Day event in Bengaluru. The 22-week long challenge kicked off in November 2017 with outreach events taking place at regional startup incubation centers in Bengaluru, Delhi, Hyderabad, Mumbai and Chennai. Startups were invited to propose solutions for complex challenges in the areas of autonomous and unmanned systems, advanced manufacturing, industrial IoT, analytics, and artificial intelligence and machine learning. Approximately 100 submissions were then subjected to a grueling evaluation process resulting in a shortlist of 13 startups and six teams from the Boeing India Engineering and Technology Center (BIETC). The sixfinalists to make it past this round participated in a three-month accelerator program at T-Hub, where they were mentored by industry experts, Boeing subject matter experts and experts from Startup India. The challenge is over but this does not mark the end of Boeing’s journey with these startups and their step-change innovations. Boeing will continue to mentor the startups and provide them opportunities to connect to other potential investors and expand their business with customers. 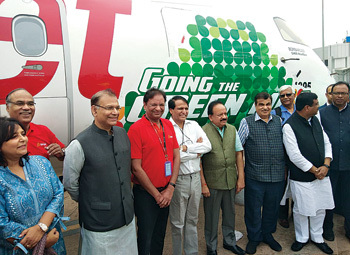 The internal component of the challenge, which was open to teams from BIETC, is part of Boeing’s efforts in India to build a culture that promotes innovation and disruptive thinking. The three internal team finalists were encouraged to innovate beyond their regular tasks and the ideas they presented are under evaluation as potential future offerings for Boeing. 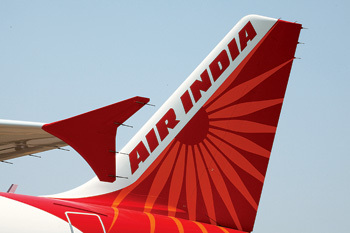 Boeing will continue to evaluate disruptive startups in India, apart from Boeing HorizonX India Innovation Challenge finalists, for potential future investment. As the future of aerospace and defence develops, Boeing and its partners stand ready to embrace innovation and fresh ideas.